It's been super hot and sunny! After spending a week in a hot office, I've been dreaming of going out in shorts. Thank god for ASOS's next day delivery! 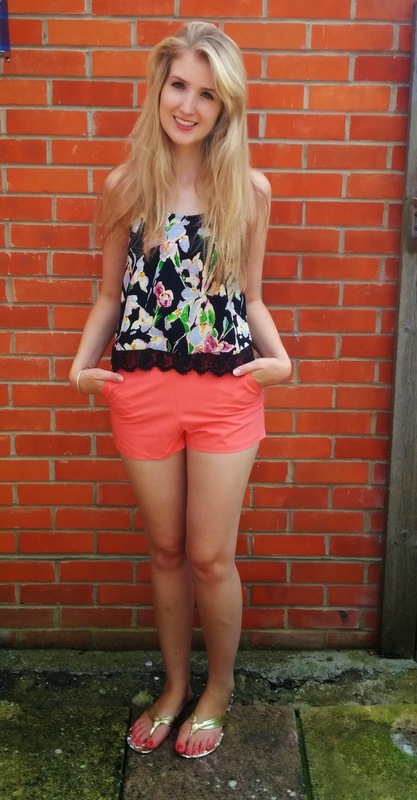 I'm wearing meadow flower lace hem shell top from Topshop £36, Coral Tailored shorts from ASOS £18 and some old, gold flip flops from Peacocks!